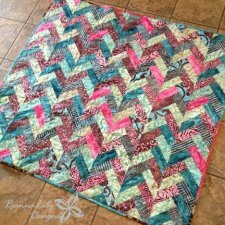 "Welcome to my Braided Quilt Tutorial. This tutorial is just a “how I did it” and “this is how it turned out” kind of tutorial. The one jelly roll makes a nice lap sized quilt, roughly 50″ square. 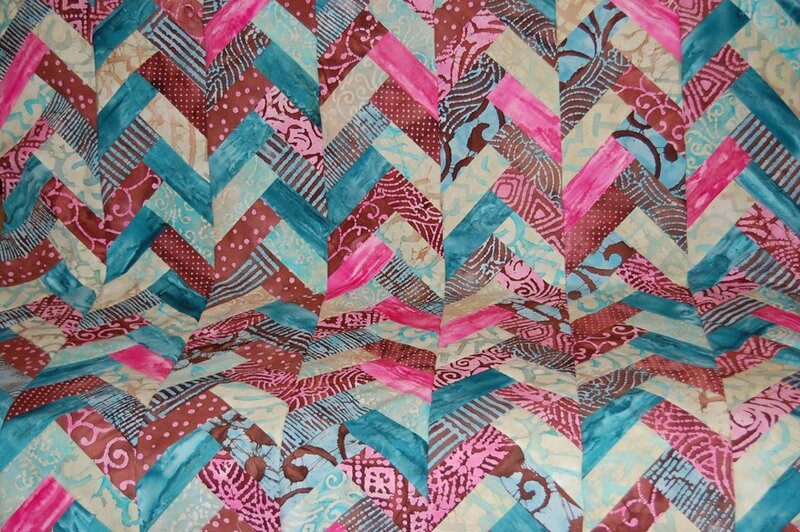 "Now you might find this strange- I bought the original jelly roll in 2008 or 2009 in a small town, back when Walmart still carried fabric. I didn’t buy or save any binding fabric. The binding was purchased at Joann fabrics in 2015 and matches pretty darn well. 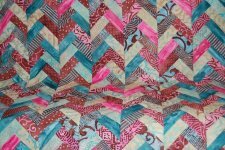 Way to go batik fabric. Well, played."